With the increase in travel to Spanish-speaking countries as well as the rise in the Latino population in the United States, a growing number of people are in need of a quick reference to help them communicate. Sadly, most Spanish reference books contain outdated phrases organized in a manner that make it difficult to find the right words for the right situation. The Everything Spanish Phrase Book remedies these shortcomings with a practical, real-world approach to language learning that is both quick and easy to use. 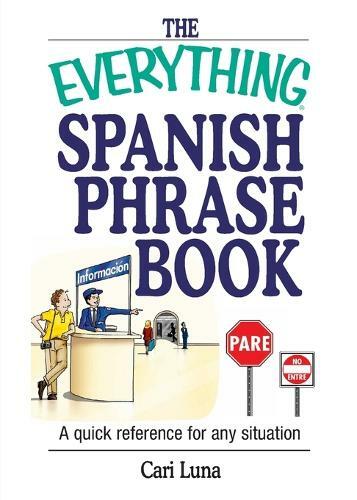 From ordering dinner and asking for directions to working and communicating in Latino communities, this handy guide provides readers with all they need as ellos hablan espa ol in any setting. Fully indexed and complete with a pronunciation guide and helpful dictionaries, The Everything Spanish Phrase Book is the ideal resource for business or pleasure.